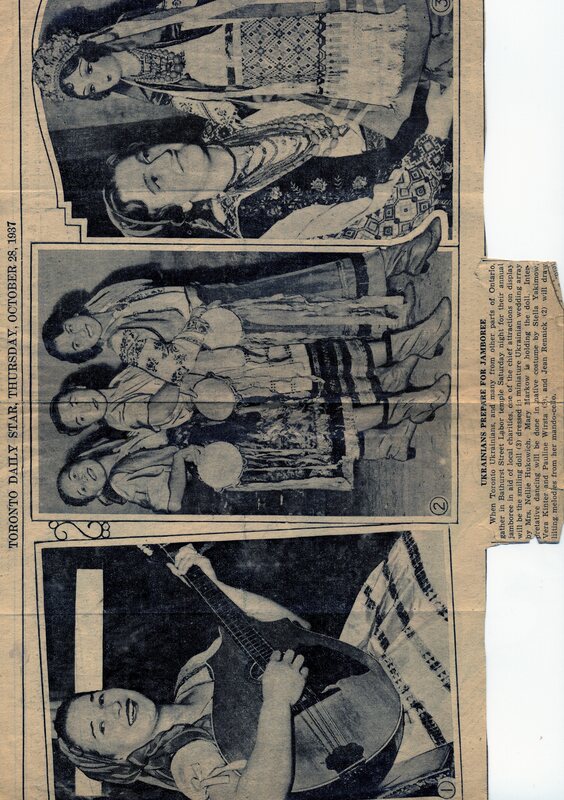 A photograph of a newspaper article from the Toronto Daily Star in 1937 depicting AUUC performers preparing for the Ukrainian Jamboree. One photo shows a mandolin player, one shows three dancers posing with tambourines, and the third depicts a woman holding a porcelain doll. 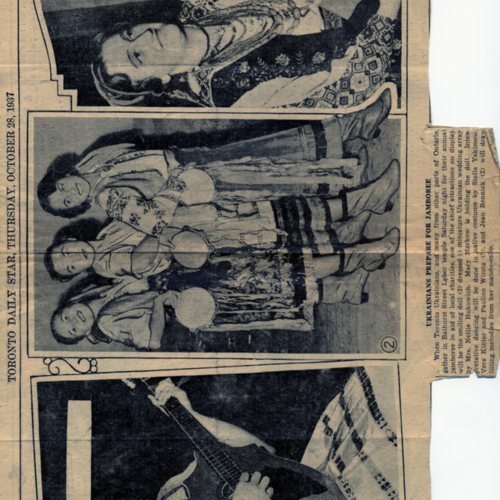 “Ukrainian Jamboree Prep 1937,” Association of United Ukrainian Canadians - Vancouver, accessed April 26, 2019, https://auucvancouver.digitalhistoryhub.com/items/show/304.